﻿President George W. Bush signed a bill on December 8th, 2004 (public law 108-447) which designates every September 17th as Constitution Day. 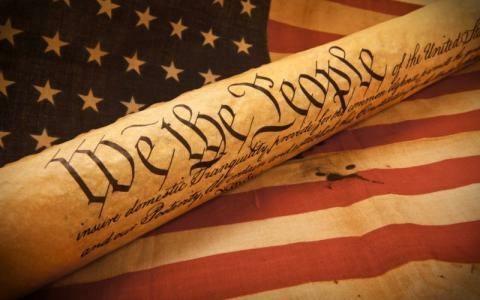 The U.S. Constitution was signed by thirty-nine brave men who changed the course of history and Constitution Day is now a time for us to continue their legacy and develop habits of citizenship in a new generation of Americans. The oldest person to sign the Constitution was Benjamin Franklin (81). The youngest was Jonathan Dayton of New Jersey (26).Because of his poor health, Benjamin Franklin needed help to sign the Constitution. As he did so, tears streamed down his face. What's your Constitution IQ? Click Here to take the Fascinating Facts Quiz to find out!